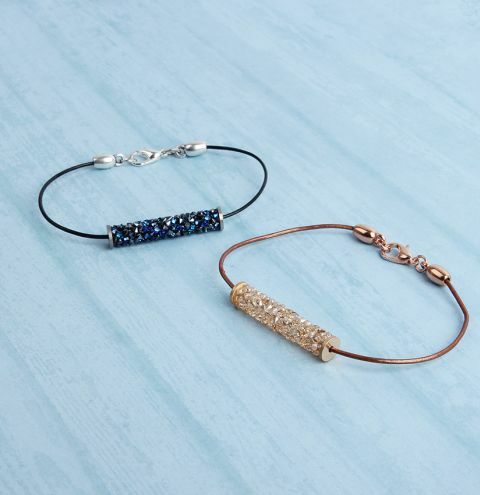 *WANDERLUST COLLECTION* Learn how to make a glistening set of bracelets with Swarovski's new Crystal Fine Rock Tube beads as part of the Spring/Summer Innovations 2019. Cut a 6 inch piece of leather cord. Thread on your Swarovski crystal tube bead and glue each side into the end tips. Connect a jumpring onto each loop and attach a lobster clasp to one side.